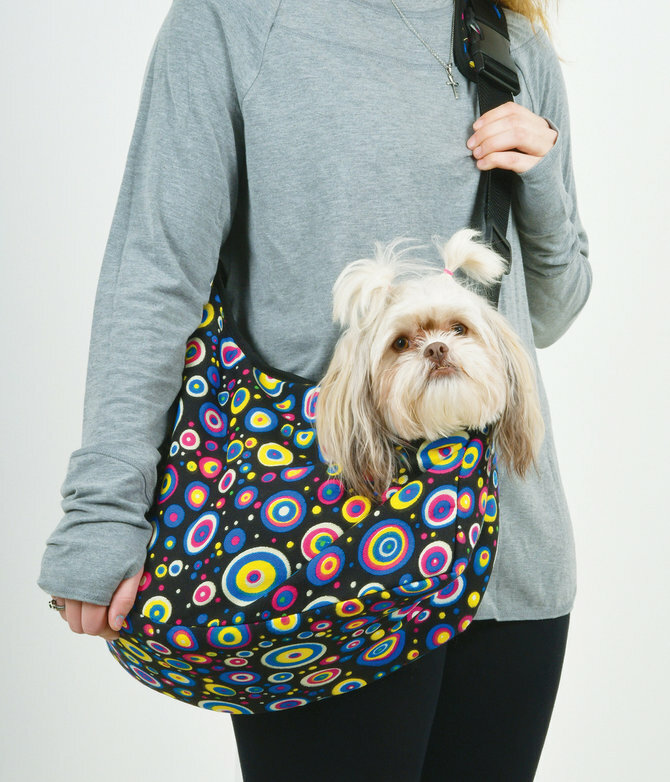 Stylish, over-the-shoulder pet carrier with quick-open zippered top. Features a collar attachment to keep pet in place and a large side pocket to store treats, toys, or personal belongings. For small dogs only.